Fans of (American) football recently either celebrated or protested the fortieth anniversary of the most controversial play in the history of the sport. On December 23, 1972, with only 22 seconds left in an American Football Conference (AFC) divisional playoff game at Three Rivers Stadium in Pittsburgh, Pennsylvania, the Pittsburgh Steelers pulled out a win against the Oakland Raiders thanks to a crazy play in which a pass intended for Pittsburgh receiver John “Frenchy” Fuqua ricocheted twenty yards backwards off either Fuqua or Oakland defensive back Jack “Assassin” Tatum, or both, right into the hands of Pittsburgh running back Franco Harris, who ran it up the field for the winning touchdown with only five seconds to spare. Today, in the Pittsburgh airport, a statue of Franco Harris scooping up the errant pass stands next to a statue of George Washington. Pittsburgh fans passing through the airport think that this is completely normal. The Virgin Birth is the Biblical belief that Jesus was conceived while Mary was still a virgin due to the influence of the Holy Spirit of God, so that Jesus had no human father, but instead had a divine Father. The Immaculate Conception is the Roman Catholic belief that Mary was conceived in her mother Anne from a human father as usual, but without the “original sin” that, according to traditional Christian doctrine, affects all human beings since the sin of Adam and Eve in the Garden of Eden. In other words, contrary to popular belief, the Immaculate Conception and the Virgin Birth are two entirely different things. One is about the conception and birth of Mary. The other is about the conception and birth of Jesus. The Virgin Birth is based on the Bible stories of Jesus’ birth in Matthew 1:18–25 and Luke 1:26–38. In other words, the Virgin Birth is taught in the Bible, but the Immaculate Conception is not. Because of this, the Virgin Birth is accepted by nearly all Christians, whereas the Immaculate Conception is a matter of vigorous debate and disagreement among the various Christian churches and their religious leaders. It would seem unlikely that a play in a 1972 football game could bear any resemblance to the conception and birth of Mary, the mother of Jesus, two thousand years ago. Yet there are at least two parallels between these two events. Both are the subject of fierce debate among devotees of the sport of football on the one hand, and the devotees of the religion of Christianity on the other. Both have achieved mythical status for those who follow that sport or religion. In fact, when it comes to events like the Immaculate Reception, the lines between sports and religion begin to blur. Sports ceases to be mere entertainment, and begins to take on an aura of mystical and spiritual significance. Despite painstaking frame-by-frame analysis of the play dubbed the Immaculate Reception, we will probably never know conclusively whether it was a legal or illegal play according to the football rules of the time. There will always be an aura of mystery and uncertainty surrounding it. What we do know is that it led to an intense rivalry between the Pittsburgh Steelers and the Oakland Raiders that energized both teams. And that led to some very exciting football games for their fans! Within the next few years after the Immaculate Reception, both the Steelers and the Raiders won the Superbowl for the first time in their team’s respective histories. And football fans ate up the rivalry between the two now-fabled teams. In other words, the Immaculate Reception became a myth that took on a greater meaning for the fans of the two teams involved, and for avid football fans generally. However, the word “myth” comes from the ancient Greek word mythos, meaning “report,” “tale,” “story.” The basic meaning of “myth” is a story or set of stories that has deeper meaning for a group of people. That group of people could be members of a particular culture or religion, or it could be defined by other factors—such as a love for the game of football. Like other groups, football fans have their myths and legends. And whether or not the stories match the events that actually occurred, it is the stories, not the actual events, that take on a deeper significance. For Pittsburgh Steelers fans, the Immaculate Reception marks a point at which their team turned around and went on a winning streak that put them on the map of football fame. In a sense, it really doesn’t matter whether the play was objectively legal or illegal. The call of the game officials in favor of the Steelers stands, and the play became a part of football history, defining the two teams involved for decades to come. For many Steelers fans, the Immaculate Reception was a sign that God was finally smiling on their team and their city. 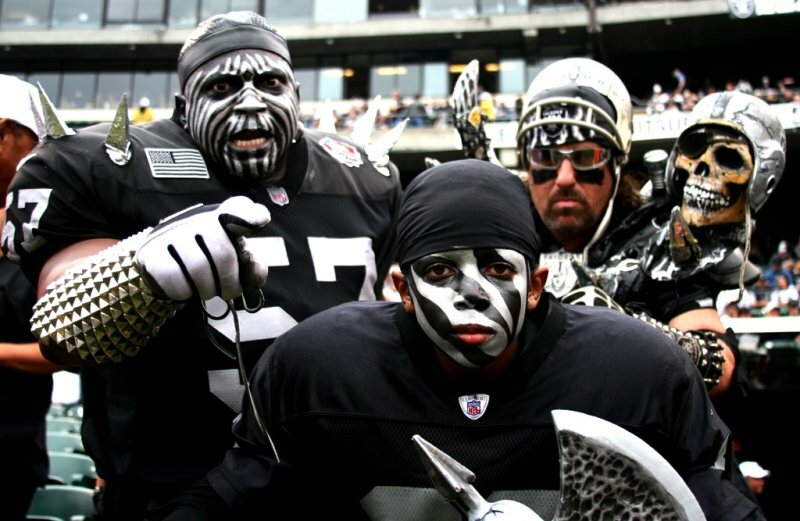 For Raiders fans, their sense of being robbed of their rightful victory by a conspiracy against them contributed to their embracing a mythos of “Raider Nation” as “the dark side” of football. In other words, in the minds of football fans, the play dubbed the Immaculate Reception took on a far deeper meaning than a mere freak touchdown that changed the outcome of a particular football game. It is the story of the Immaculate Reception that has this effect, rather than the raw events that took place forty years ago on a Pittsburgh football field. Even if we were somehow to get conclusive evidence that the play was or wasn’t valid, it would not change the ripple effect that the play has had on football and its fans. In fact, “conclusive proof” would most likely just inflame the fans whose beliefs about the events of that day were “disproved,” causing them to insist even more strongly that their version of events is correct, and to look for evidence that the “proof” is invalid. Myth goes beyond physical facts and material events to affect the minds, hearts, and souls of those who believe in the myth. People who insist that only the literal truth of what actually happened is valid and important are missing most of the depth of human experience. It’s not that what actually happened isn’t important. What actually happened can be critically important, as in the case of an innocent man convicted of murder and sent to jail for the rest of his life, or a guilty man who is acquitted and then murders another innocent person. It is worth re-evaluating the history, the documents, and the evidence in order to get a better idea of exactly what took place in this or that incident or historical event. However, the power of myth goes beyond the literal facts to invest a story with deeper meaning. While it is best for our myths to be based on realities rather than on fictions, even fictions will do as a basis for stories that change our souls and our lives. If that were not so, novelists and movie producers would be out of business. How many of the stories we love most, whether as movies or as novels, actually took place? Most of them are made-up stories. But they are stories that express something of the human experience and spirit. Now I ask you: If football can have its powerful myths, why can’t religion have its powerful myths? A myth is not a fiction. The Immaculate Reception actually took place. It is based on real events. Maybe it was a valid play, maybe it wasn’t. But the officials called it as a valid play, and we could not go back and change history even if it were conclusively proven to be an invalid play. For all practical purposes, the call of the refs would still stand. The story surrounding the original events may be partly fact and partly fiction. But all of it, fact or fiction, becomes part of the story that defines our lives. If that is so, how important is it for us to determine objectively and scientifically whether the events described in the Bible actually took place as described? Yes, research into Bible times and Bible stories can give us a greater understanding and appreciation of what the stories are about. And in some cases it can affect our religious beliefs. But the most fundamental stories cannot be proven one way or another. Like the Immaculate Reception of football fame, the evidence we have is simply too fuzzy to be able to definitely determine what actually took place. Let’s set aside the Catholic doctrine of the Immaculate Conception for a moment, and talk about the Virgin Birth. Now, this idea is definitely taught in the Bible. Yet there is no way either to prove or to disprove it. Of course, from the perspective of material science a virgin birth—meaning a birth without sperm from a male—is an impossibility for humans. Genetic material from both a mother and a father is required for conception to take place. However, for those who believe in spiritual reality and the existence of God, nothing in material science takes away the possibility that God could decide to work through spiritual instrumentalities to bring about an event that would be impossible if nothing beyond the material level of reality existed. And the fact is, there were no scientific instruments present when Mary conceived Jesus. So although material science can say, “It can’t happen,” it can’t prove conclusively that it didn’t happen. It is impossible for science either to prove or to disprove the existence or actions of beings beyond the realm of the material universe that is the subject of science. If you are a football fan, does it really matter if the Immaculate Reception was a fair play? In the end, it doesn’t matter very much. The meaning of the Immaculate Reception goes far deeper than material fact or fiction. It has taken on a spiritual meaning for devoted football fans everywhere. And if you are a Christian, does it matter whether the events described in the Bible actually took place exactly as they are described? In some cases, maybe so. If Jesus’ father was not God, that sort of changes Christianity, doesn’t it? But even there, the meaning of Jesus in the minds, hearts, and lives of Christians goes far beyond the fact or fiction of an old story in the Bible. Like the Immaculate Reception for many devoted football fans, the birth, life, death, and resurrection of Jesus Christ has become, for devoted Christians, a living presence that has defined their lives ever since the lovingly described and hotly debated event of Jesus’ birth took place over two thousand years ago.